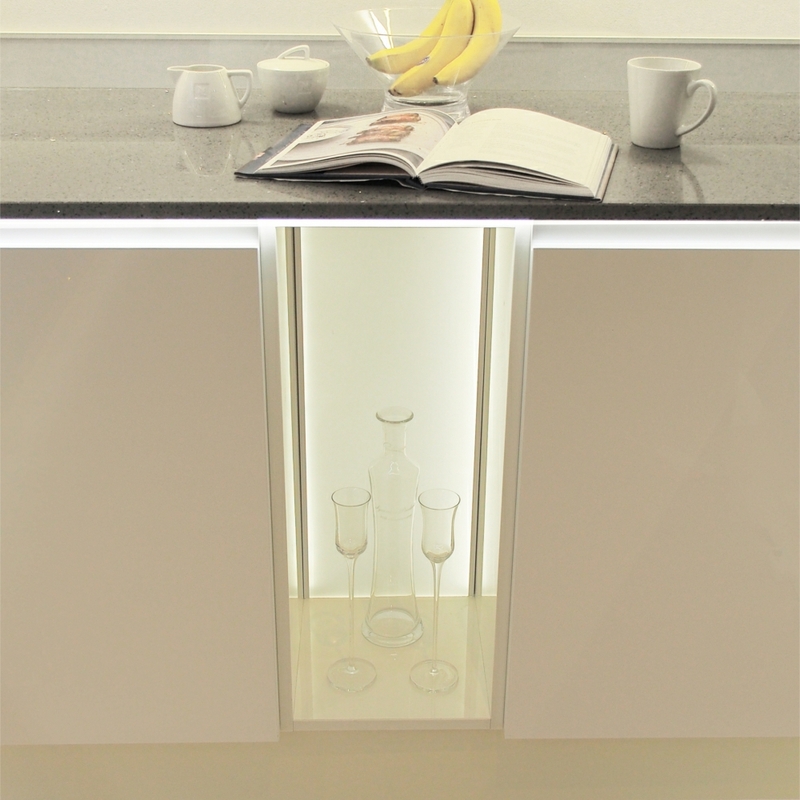 Light Supplier brings you a whole new solution for lighting inside your cabinets, with these new illuminated back panels which will illuminate the rear of the cabinets and are available in 2 different sizes for various cabinet widths. Availbale to suit 500mm & 600mm wide cabinets, it uses an innovative magnetic fixing method and is powered using the fast fit connector system. This using is an ideal decorative light solution to any kitchan cabinet or display cabinet, such as a wine rack. With its tunable feature the tunable white LED can be changed from warm white, to natural white and to cool white by simply using the remote control and receiver system we supply. The back panel comes complete with a 2m power cable, which plugs straight into the LED power convertor. The panel is easily installed using silicon.